Blended Process Inbound Process Job details- One of the reputed non-BPO call center company is hiring for Inbound process for Gurgaon location. People with some BPO calling experience in any voice process will be preferred. Anyone who is graduate or under-graduate/drop-out may apply for this one of the best blended process Inbound process job in Delhi NCR locality.Candidates should belong to Gurgaon or south Delhi areas. Read through the “blended process” job description and apply immediately. This job opening is from a non-BPO company that is located in Gurgaon.Pure day shift opening.Six days a week working. Inbound blended process.Limited job openings! Candidates with or without experience. Freshers and experienced all are welcome! 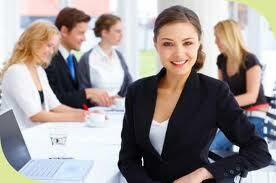 But some experience as a CCE in any International BPO/call center would be preferred. Must have excellent/good communication skills in English. Shift– 8 hours of shift (shift window 9am-9pm(boys) 9am-7pm(girls)- Pure day shift forever. Job Location– Sec 32, Gurgaon. Please only those candidates apply who reside in Gurgaon or South-Delhi locations. Pure day shift-6 Days a Week working. Please don’t send us your CV-Just call [email protected] to fix a direct interview in the company. Please don’t call for any other openings except this one-Thank you. You are great! you don’t need a high school diploma or GED to enter into online CNA training.